Tying the knot and setting down as husband and wife is something that most couples look forward into having in the near future. Getting married is one of most important event in a person’s life and they even identify it as a milestone and a start of a great journey. In this article we will give you the best tips on how to plan an stress free wedding in case you need additional ideas or inputs on how to make it a successful event. 1. )Do not be scared to talk about money matters with your soon to be husband or wife. Be transparent with your wedding budget by asking each other about how much can each party allocate for this particular event. Make sure to do your best to stick to the budget by choosing practical things such as vintage wedding decorations and other vintage items that can be used for other purposes after the wedding takes place. 2. 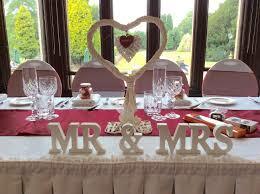 )Second is to make sure that you and your spouse finalize the date of the wedding. Before choosing a wedding date, you and your spouse should first study the available dates very carefully so that a lot of your invited guests could come and witness your wedding which most of them are also looking forward into attending. Booking the ceremony on either a Saturday or a Sunday seems to be a more practical day for everyone, and besides it also gives the guests the opportunity to attend your wedding without the need to take a vacation from work. 3. )Organize or plan your wedding ahead of time. If it is your first time planning this kind of event make sure to carry a notebook with you so you can write the things that needs to be done. Planning a wedding can be really tiring especially when you are looking for the right vintage wedding table decorations and other important things that are needed for the big event. 4. )You and your partner (soon to be husband or wife) should find the right time and work on the guest list together to make sure that you won’t exceed the allocated budget for the wedding. Since the members of the family are already included in the list, it is very important that you should decide carefully who should come or not. If you want to add more people to attend the party it’s alright as long as you can still afford to pay extra. The more guests the merrier the celebration should be.